The island of Martha’s Vineyard offers a wonderful diversity – rural landscapes and farms, charming Victorian cottages, beautiful beaches, and lovely downtowns full of fantastic shopping and restaurants! There are plenty of places to explore—be sure to include some of the locations listed below when you visit this magical island! CHILMARK—Enjoy rolling hills and farms with horses, sheep, and alpaca. Stop by Lucy Vincent Beach, one of the most unique beaches on the island where you’ll find interesting rock formations. AQUINNAH—Head out to the Aquinnah cliffs and enjoy water views from both sides of your car along the way. 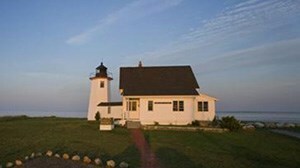 Stop at Gay Head Lighthouse, where you’re sure to enjoy the gorgeous views. Gay Head Cliffs and Lighthouse in Aquinnah. MENEMSHA—Visit the downtown area of this small fishing village (used as a backdrop in the movie Jaws.) You can’t get more “New England” than this quaint little town! EDGARTOWN—Stop by Morning Glory Farm and purchase fresh flowers, produce, and baked goods, and enjoy their wonderfully fresh salad bar. Drive down white picket-fenced streets full of quintessential New England charm, and stop in at a few of the many shops and restaurants. Make your way to beautiful Edgartown Lighthouse set against beach grass, white sand, rosa rugosa and lovely Edgartown Harbor. OAK BLUFFS—Enjoy the lively downtown area where shops and restaurants abound. Take a ride on the historic Flying Horses Carousel, the oldest operating platform carousel in America. Enjoy the views of Vineyard Sound from Ocean Park located near the colorful, iconic, and very charming “gingerbread cottage” neighborhood. WEST TISBURY—View whimsical sculptures and changing exhibitions at the Field Gallery and Sculpture Garden. Don’t miss Lambert’s Cove Beach, tucked away off Lamberts Cove Road. Park in a small lot at the end of the woods, and then enjoy a 5-10 minute walk through a trail to the dunes and beach. Sunsets here are spectacular! There is so much to see and do on this lovely island. It is the perfect mixture of fun and slow-paced relaxation, just what the summer months are all about! 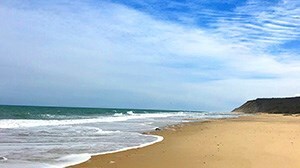 Find a rental on Martha’s Vineyard!